Boutique of Quality Books, 9781939371942, 238pp. In the background of Operation Iraqi Freedom and the war in Iraq, with a dedicated soldier as their pawn, two powerful men play a high-stakes game. One works on the side of good, but is corrupted when he realizes what he could gain by utilizing his position to his own advantage. The other has been working for years, patiently waiting for his chance to possess his prize. But which of them is the lesser of two evils? The young soldier struggles to figure out who to trust when the line between right and wrong is blurred by a shadow that grows darker with each carefully crafted lie. 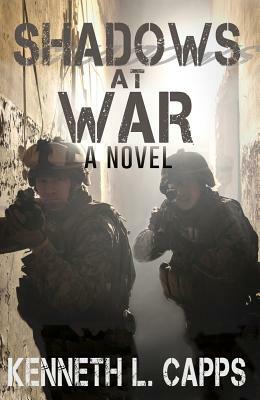 Fans of Brad Thor, Brad Meltzer, Ted Bell and Karl Mailantes will love the twists and turns of this suspense-filled thriller written by a former Marine who served in Operation Desert Shield. Kenneth L. Capps joined the US Marine Corps in 1979 for a 13-year career. His debut novel, Forgiving Waters, won a 2012 Readers Favorite Award and a 2013 Next Generation Indie Book Award in the First Novel category.